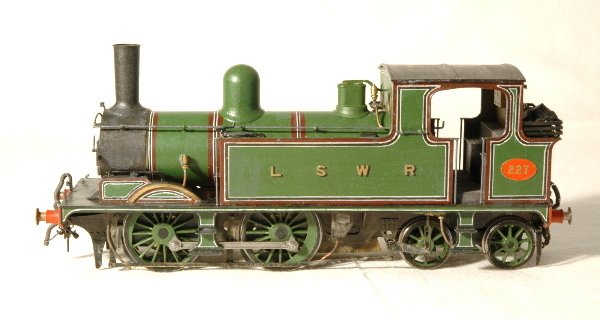 LSWR Adams "415" class 4-4-2T Radial tank number 106. The original loco was built in 1885 and withdrawn in 1923. This is one of Norman's earlier models. LSWR Adams O2 class 0-4-4T number 227. 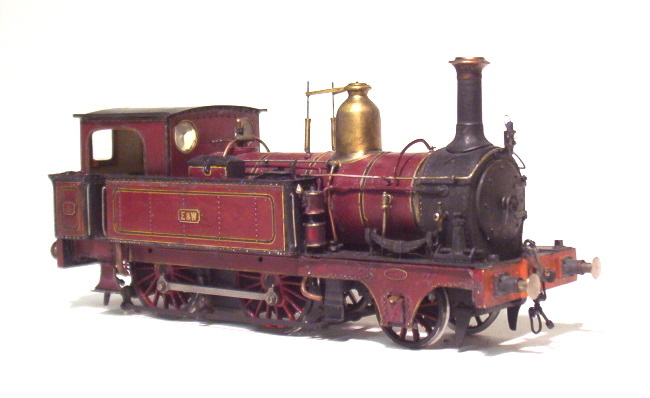 The original loco served from 1894 until 1933. MSWJR 4-4-4T number 17. The prototype was one of a pair (17 & 18) built in 1897 by Sharp, Stewart & Co. 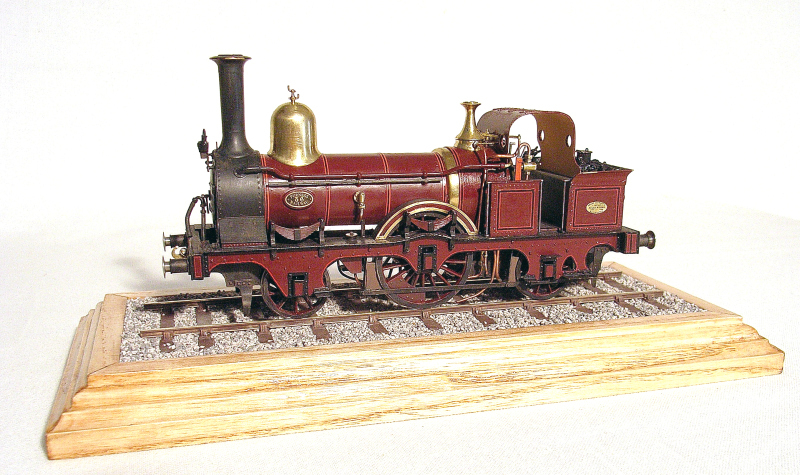 This little Beyer Peacock 2-4-0T was the second loco that Norman built. 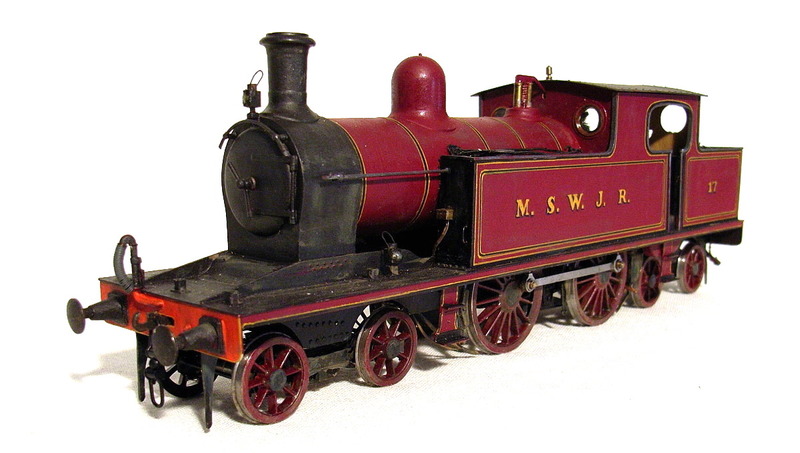 It was originally finished as MSWJR number 8. It now belongs to Simon Dunkley who has fitted it with Westinghouse brake gear and finished it is E&WJR number 5. It has also had new wheels fitted, based on Society 18 spoke brass centres (the original had 22 spoke P4 wheels). Two of Norman's superb carriages. These two are part of set of six wheelers. The real sets were permanently coupled hence the short buffers on the inner ends of the Brake and both ends of the Composite. Above, Left and Below: Some of Norman's wagons. Norman's last model. Furness Railway B3 class 2-2-2T number 36. The original loco dated from 1866 and lasted until 1898.